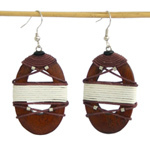 Artisan Benjamas crafts these kapok wood earrings by hand. 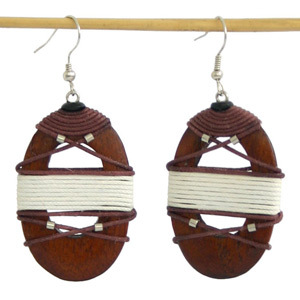 She tightly winds nylon cords round sustainable wooden ovals and adds little metallic beads for decoration. 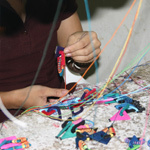 The hooks are made from stainless steel wires.